This ship is the Overkill Edition of my (not) famous CloudJet II. 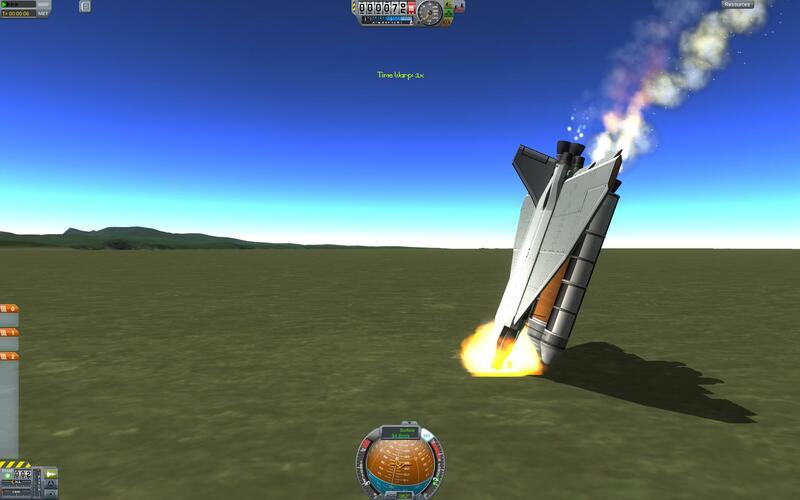 As you can see, this craft has 6 engines for maximum power. It also carries a total of 6 kerbals at speeds up to 1 km/s! Also includes parachutes and other safety features so you don’t sue us in case anything goes wrong. Wait, I wasn’t supposed to say that? Well, shoot. A stock aircraft called CloudJet II OE. Built with 46 of the finest parts, its root part is mk2Cockpit.Standard.